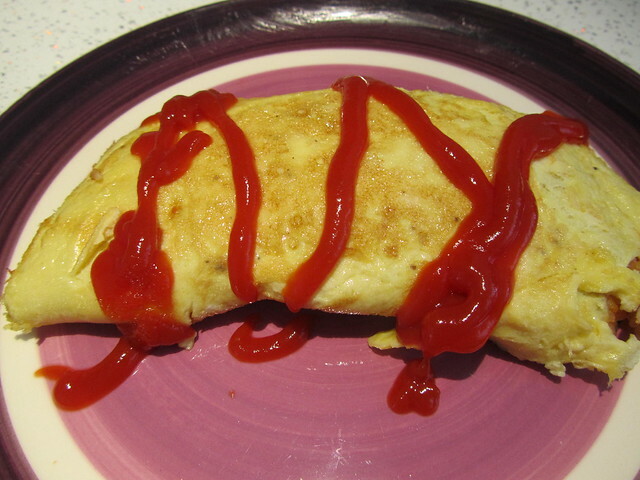 This month I’ve been trying to save money, so I decided to cook a classic student dish called omurice (オムライス / rice omelette). 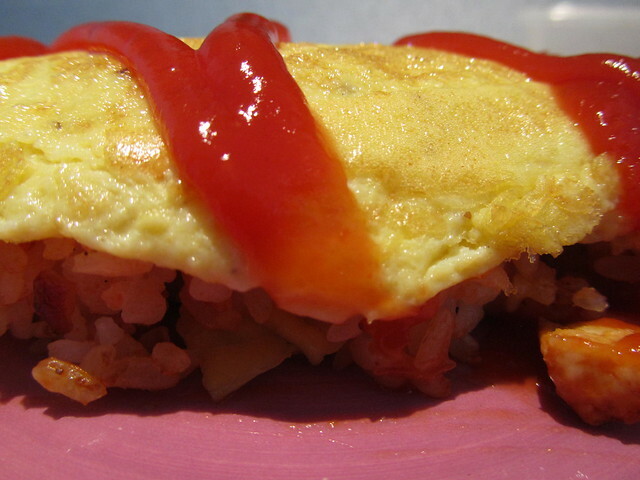 This dish is a sort of Japanese/Western hybrid, consisting of, well, rice and omelette (plus meat or meat substitute) and the all-important topping – tomato ketchup! 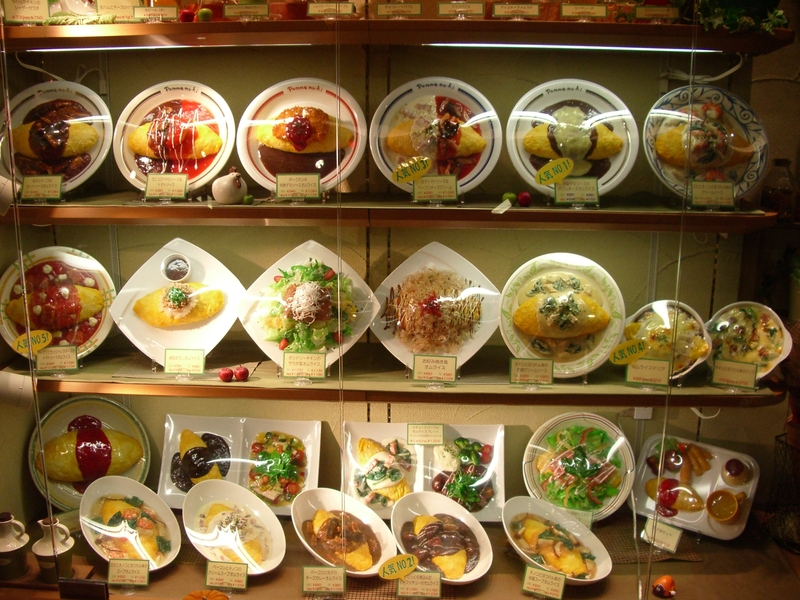 There are lots of inexpensive restaurants selling omurice in Japan, and it can often be found in underground malls and near stations. I never tried it in Japan because I was worried that there would be meat inside – there usually is – but I often admired it from afar. This isn’t classy food, but it’s warming, comforting food – perfect for those autumn nights that are bound to set in soon. I’ve only made this once, so please note that the quantities might be a bit wrong. 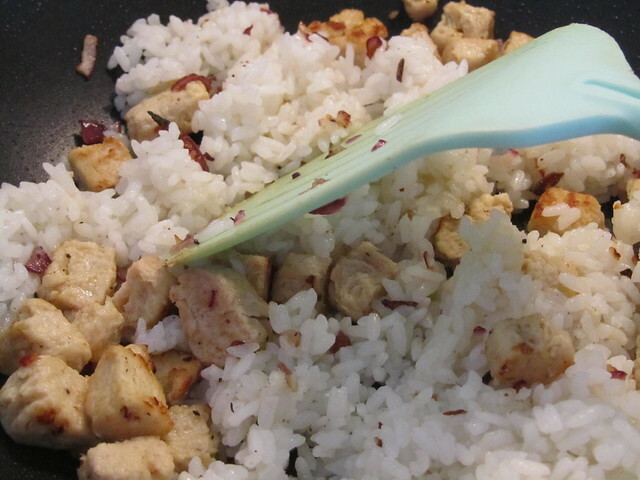 Don’t worry though – if you end up with a little too much mixture you can always have it on the side or stick it in your bento box! It’s also worth bearing in mind that this is the kind of recipe you should experiment with. 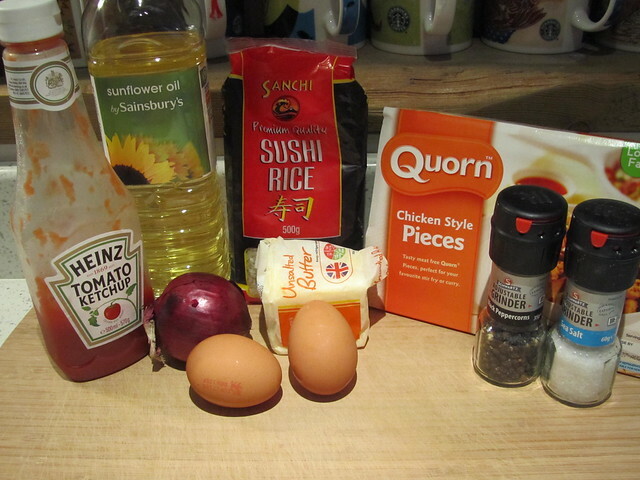 The recipe below is veggie omurice, but you might like to make it with meat or other vegetables. 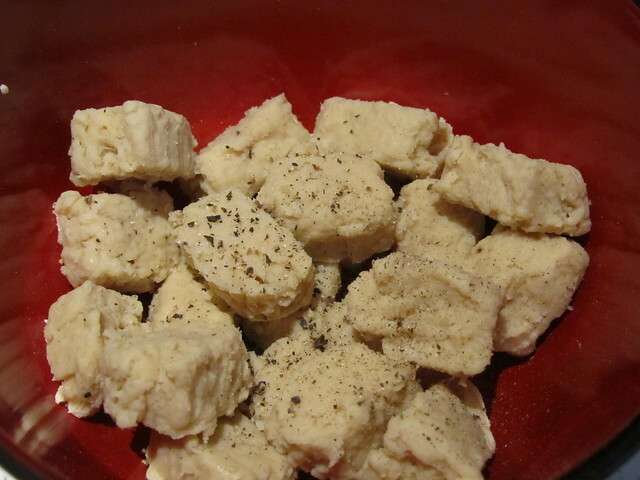 Season the Quorn pieces with salt and pepper. 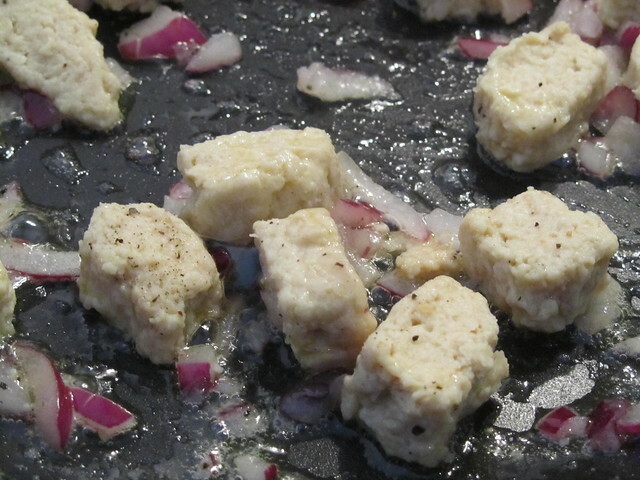 Heat the butter gently in a frying pan or wok and fry the Quorn and onion. 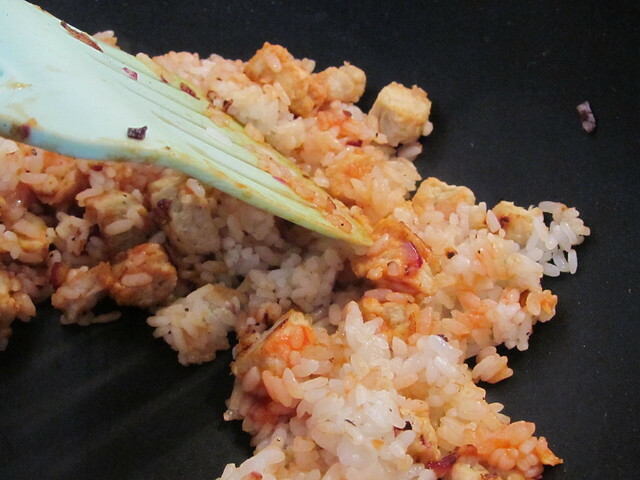 Once the Quorn has browned a little, add the cooked rice and stir fry, mixing the ingredients together well. Season with salt, pepper and tomato ketchup. Beat the two eggs together well, seasoning with salt and pepper. 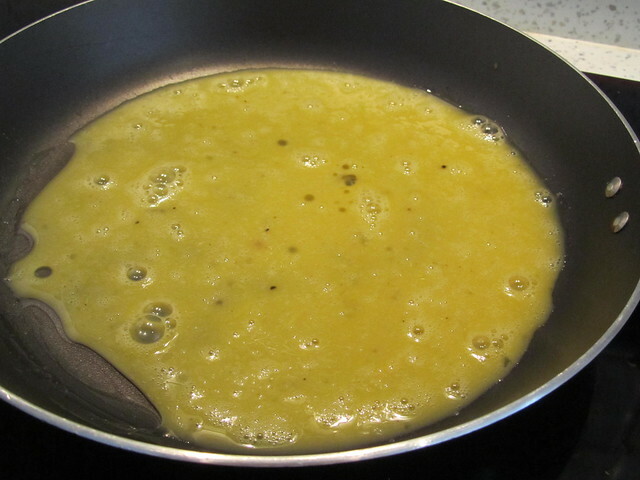 Heat the oil in another frying pan. 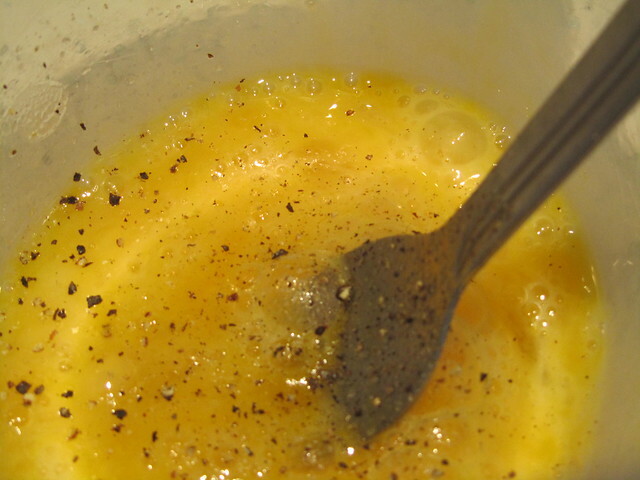 Pour in the beaten eggs and heat. 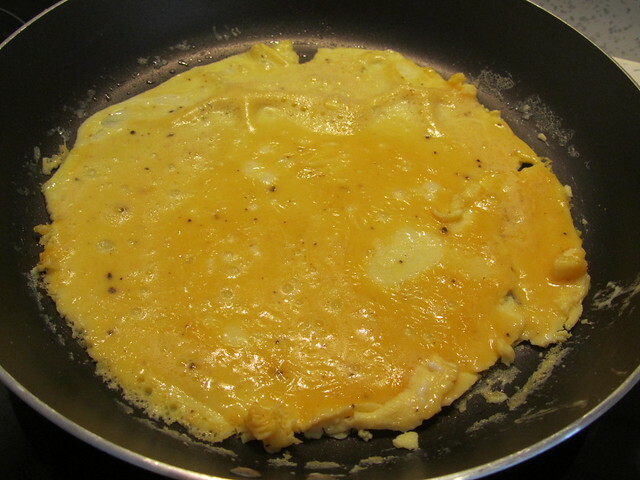 When the eggs are almost cooked through, place the fried rice mixture in one half of the frying pan, on top of the omelette. 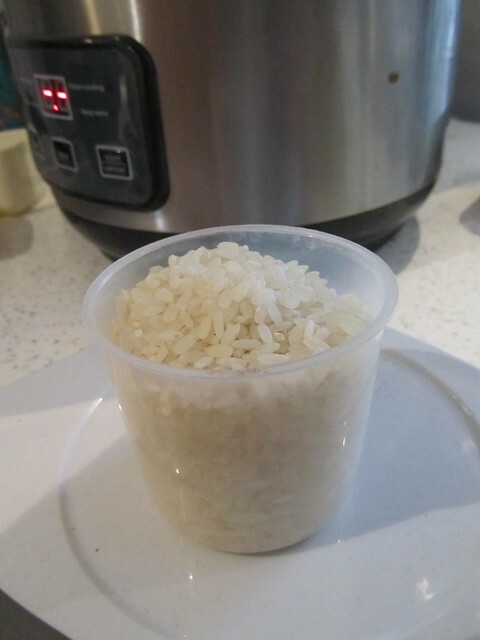 Fold the omelette around the rice. Place on a plate and drizzle with tomato ketchup. Serve with salad. Can you hide a pirate in there? 😀 Kudos on the meal. 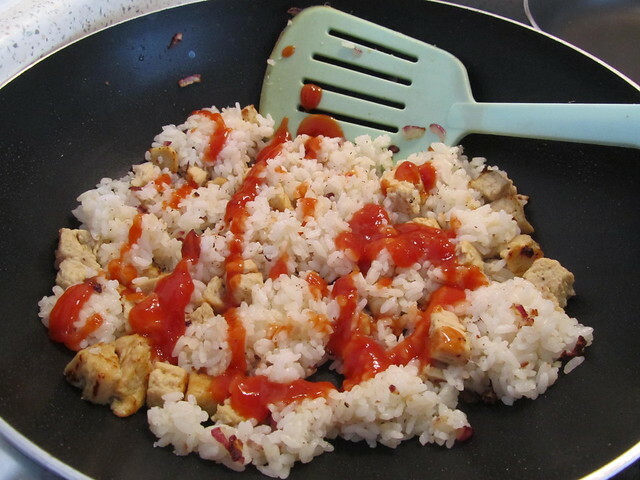 Need to try that if I ever have some time on my hand (usually I buy my omlette rice in the supermarket *blushes*). Omuraisu is the classic yoshoku (fusion) dish in Japan and is popular at home or in a restaurant. We usually stack the chicken rice with lots of veggies like corn, peas and mushroom and drizzle the ketchup on the top in a decorative manner. It is a great dish! 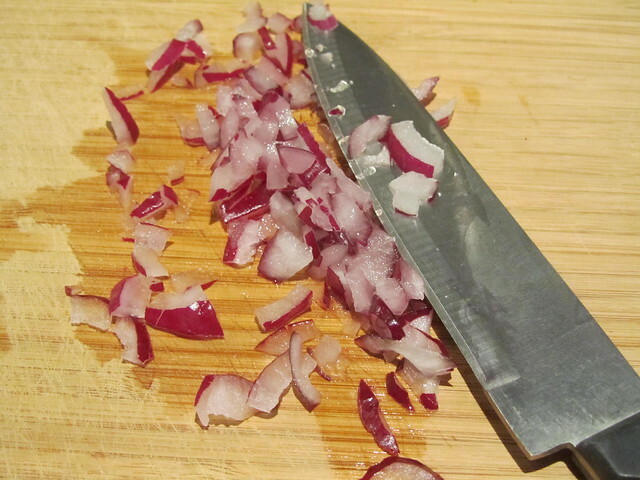 I’d love for you to use one of my recipes. I have quite a few on my website Japan Australia Please let me know if you are interested. Thanks! Yeah, I have quite a few including tamagoyaki, kinoko gohan, and vegetable tempura. Send me a message and we can try and organise something.